Much like Jennifer Lawrence did with her essay on the wage gap, Jessica Chastain has penned a thoughtful essay on gender inequality. Chastain has long been an outspoken advocate against sexism, but her recent Hollywood Reporter essay (co-written by Pamela McClintock) gives her more room to elaborate on her complex thoughts on women in the film industry. Specifically, her essay is discussing women in behind-the-scenes roles and female directors in particular. She’s currently filming a movie called The Zookeeper’s Wife and she’s clearly ecstatic that it’s the most female-heavy project she’s ever worked on, even though women actually make up only about 20 percent of the crew (which, in and of itself, might be the most illuminating part of the essay). Chastain is quick to emphasize the fact that she wants to see a balance of genders on film sets and enjoys working with men as well (“When you have both genders represented, then you have a healthier point of view”), but she points out some specific benefits of working with women. For one, having more women at the top of production leads to more women being hired in other roles. Director Niki Caro, producers Diane Levin, Kim Zubick, and Katie McNeill, and screenwriter Angela Workman are all women. 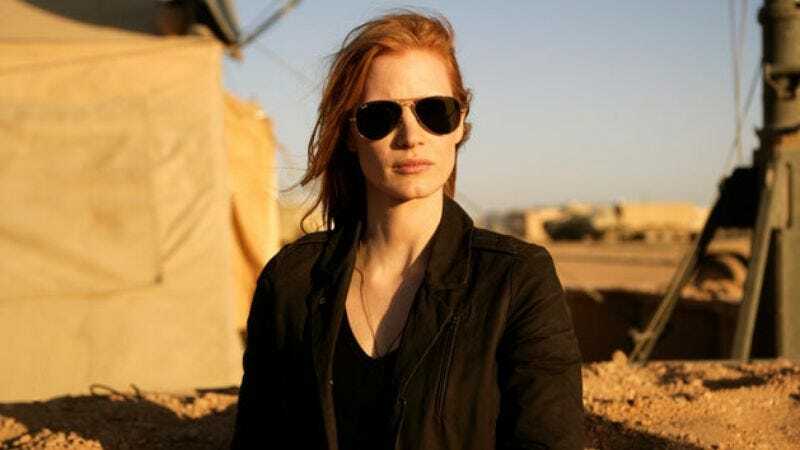 Chastain is “positive” that the diversity of The Zookeeper’s Wife comes from “women in the power positions making room for other women.” That’s why she’s working with a female camera operator and female stunt coordinator for the first time. I was talking to other actors about this recently, and the wonderful thing about having so many women on set is there hasn’t been anyone who has screamed or anything like that. It’s a very collaborative experience, and it’s been heaven for me. We all hang out all the time—there are no strange power plays or egos. We know how rare making this kind of film is. We’re giddy with happiness. Chastain touches on a whole bunch of different topics in her essay, including gender inequality in film criticism, what men in Hollywood can do to help, and the “invalid” excuse that women don’t want to direct blockbusters. You can read the full article over on The Hollywood Reporter.